I just read this article and thought you might want to give it a read, too. 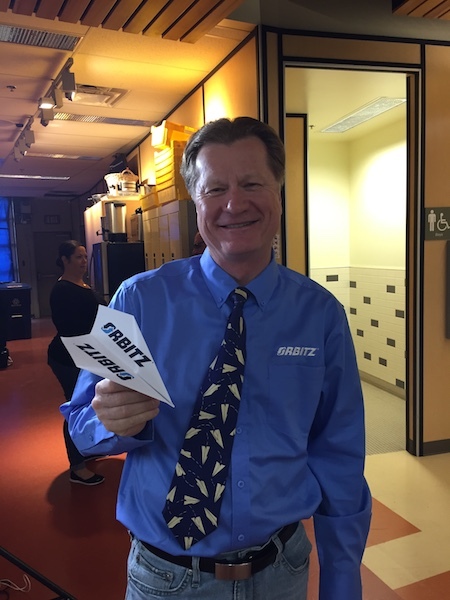 It\'s called Get to know “The Paper Airplane Guy” (Q&A) and you can find it here https://www.orbitz.com/blog/2018/07/get-to-know-the-paper-airplane-guy-qa/. You may have seen world-record breaking paper airplane engineer John Collins on YouTube (one of his how-to videos has more than 7 million views) or on TV (he’s been on Conan, CNN, ESPN, Discovery and more). And you may have wondered what would inspire a grown man to take on paper-airplane making as his full-time job, traveling the world to demonstrate his designs and shatter world records with the help of his “arm,” Joe Ayoob. After talking to the famed “Paper Airplane Guy” in the run-up to his July 20 attempt to break his own world record, we think we finally get it. ALSO: Don’t miss the record-breaking throw—here’s how to watch it live! To help Collins accomplish his goal of breaking his own record, Orbitz is sending him on a trip to Fort St. John, British Columbia where he’ll give it his all. 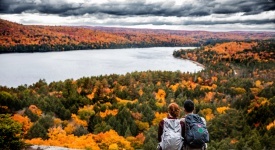 The trip is part of #rewarded, an episodic Orbitz series that gives one deserving person the opportunity to accomplish something he or she is incredibly passionate about, while getting every extra, upgrade and freebie the Orbitz Rewards program has to offer. As Collins readied for take-off, he shared some of the secrets to his airplane-throwing success, and imparted a few bits of valuable travel advice. 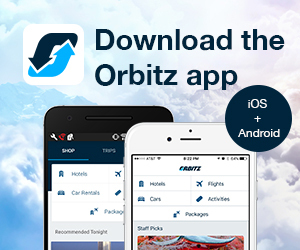 Orbitz: Tell us about the upcoming throw. What should we expect? Collins: We’re going to take a shot at bettering our current record of 226 feet, 10 inches. World record day will start with some warm-up throws. We’ll proceed to testing possible planes when Joe’s arm is ready. Once we find and adjust the right plane, we’ll start making throw attempts. We get 10 tries to better our old mark; we’ve bested the mark in practice quite a few times. If the elements line up, we’re optimistic about success. Orbitz: Why is the event in Fort St. John? 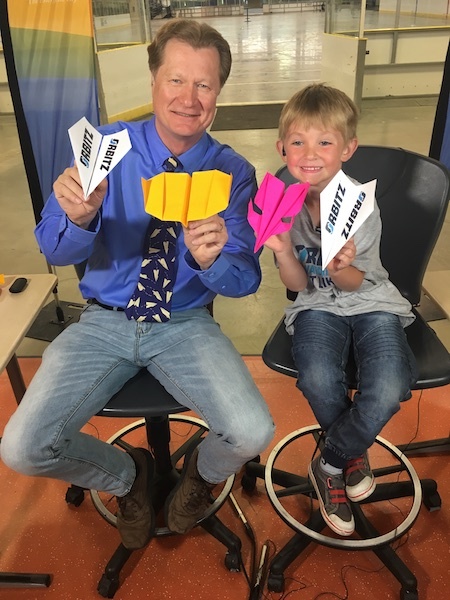 Collins: One reason: Parker Andrews [a six-year-old super fan and “Senior Paper Airplane Correspondent” who invited Collins to his hometown to break the record so they could meet in person]. 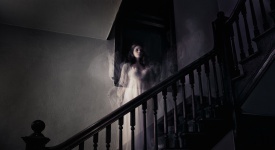 I didn’t know anything about Fort St. John or the Pomeroy complex [where the event takes place] before Parker called me. One thing led to another and we found ourselves plotting a world record attempt. 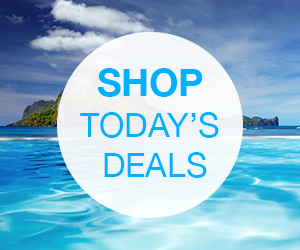 Then Orbitz got on board to make the trip possible—what could be more rewarding? 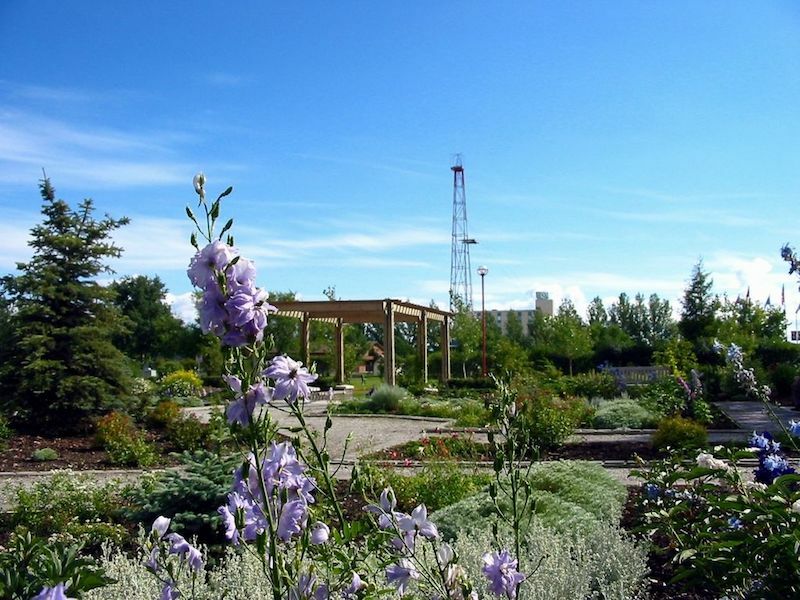 Also, Fort St. John is a charming little spot, and we’re excited about the possibility of future paper airplane events here. Orbitz: What do you want young fans like Parker Andrews to take away from your success? Collins: Now that I’ve had a chance to meet Parker in person, I can tell you he’s such a bright and inquisitive kid. Flight in general is a fascinating thing, and paper airplanes are the completely accessible end of the technology scale. The cost barrier is non-existent. I hope kids take a couple of things from paper airplanes and my world record attempts. First, paper airplanes are an easy entrance into learning about flight, and they’re an organic way to experience the scientific method. Devising and experimenting to make the plane fly better, performing the test trial, collecting and analyzing data, and reworking your hypothesis are all built into every throw. Second, I hope kids understand that success is easy to measure; you know immediately when you’ve exceeded the mark. Failure is more complicated. In fact, you actually have to declare failure. Until you do that, you’re still on your way to success. It took us a couple of tries to get the world record, and there were plenty of places where we could have reasonably stopped. We didn’t, and that made all the difference. 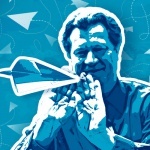 Orbitz: What first stoked your interest in paper airplanes? Collins: I’ve always been intrigued by things that fly. Most of the easy things to observe use different strategies to slip the bounds of gravity. Butterflies, birds and full-size aircraft all achieve flight in unique ways. If you broaden the definition to include fluid dynamics, you start to see fish and other aquatic critters in the same way. It’s a big, amazing field. Paper airplanes are an easy way in. 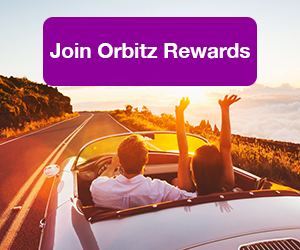 Orbitz: What’s most rewarding about it? Collins: I’ve been full time paper airplanes for about 3 years now. I’ve been part time since 1989. I love the way people feel a connection to what I do. Almost everyone has made a paper airplane. Imagine if you kept making paper airplanes…. Eventually you’d come up with boomerang designs, flapping designs, spinning, tumbling, flipping over and flying back upside down designs. Well, I’m the guy who kept going so all of you didn’t have to. That’s my connection to the audience and I use that as leverage to lead them through a hand waving explanation of fluid dynamics. When I hear a six-year-old like Parker talking about dihedral angle, it makes me smile. Orbitz: Tell us about the science and prep behind the throw. Collins: Everything matters: the paper, the folding technique, the plane’s aerodynamics and the subtlety of Joe’s throwing technique. Air density, humidity and our plans all have to line up. The most amazing thing to me is that we’ve been able to get access to large enough indoor spaces to sync up all of these things and achieve a record. We’ve changed the sport from ballistic dart designs to gliders. 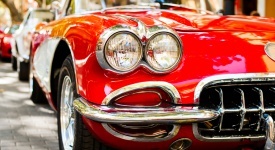 Gone are the days where brute force was the winning idea. Our glider design flies across the finish line rather than crashing into it. I’ll fold nearly two dozen planes that take about 25 minutes each—that’s a lot of hours. We’ll pick the one that’s flying best that day and try to coax it over our mark. Orbitz: What does breaking your own record mean to you? Collins: It’s a validation of our status as world champions. Nobody keeps a record forever. This is an opportunity to extend our mark, and one assumes, extend our time as record holders. More importantly, it lays down the gauntlet for those who will follow. It’s a new mark to beat. It may spawn new methods and ideas. Beating the old mark did that for us, and I’m sure beating our mark will do that for someone else. Records are made to be broken. That’s the reason for having them. Orbitz: Having traveled with your paper planes, do you have any advice on packing delicate goods? Collins: I build planes as close to throwing time as possible. I’ll bring them in a couple of specially design boxes that I use for toting my world-famous paper airplane show models to venues. You want a non-skid surface inside the box, so I’m using a kind of shelf liner in the bottom that helps the planes stay put. Orbitz: Paper plane vs. jet plane: What do you like better about paper? Collins: I can afford to prototype as many paper planes as I like. Orbitz: What’s the most memorable destination your airplane adventures have taken you to, and why? Collins: I’d have to say Singapore is high on the list. I hadn’t spent much time in that part of the world… I cherish opportunities like that. We’re all the same. Everywhere I go, a smile works in every language. And making people smile with paper airplanes is just that much more rewarding.